* Sodom in the Schools: Hear Bob and co-host Doug McBurney discuss the ‘outrage” of Pro-Family Industry hacks like those at Focus on the Family over the predictable fact that by Focus leading the campaign, "equal rights for homosexuals", the left would be guaranteed to force-feed homosexuality through the public school system. 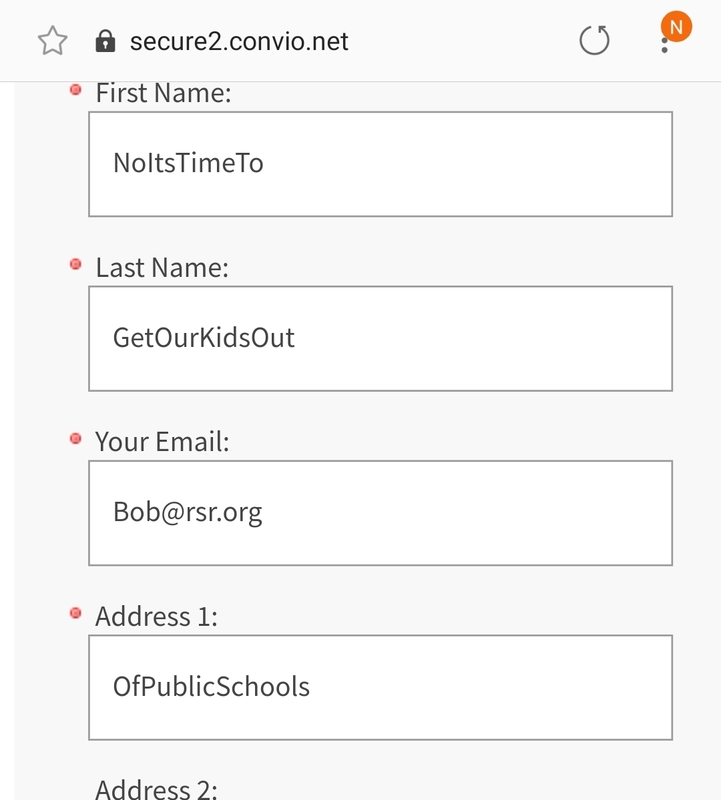 * Most Petitions Are Just to Expand Mailing Lists: The screenshot to the left shows how Bob Enyart filled out the Focus petition, for parents to urge Colorado's lawmakers to not teach their kids about homosexuals. * Sodom in the Governor’s Mansion: We just wanted to point out the other sad fact that even though Jared Polis will not be moving his boyfriend (or himself) into the Colorado Governor’s Mansion, it has still been Sodomized by association. * Who Care’s A-lot: Listen in as Doug describes felonious crimes he has discovered, and get Bob’s take on just who cares and who likely does not. * Paranoia Will Destroy Ya: Hear about the time Bob’s Plumber handed him the phone with a Flat-Earther on the other end, and how Bob tried to help.